Senior citizens, individuals who are 65 years or older, are one of the largest, and growing, groups in our population. They are also some of our most important publics. In our personal lives, seniors are our grandparents, aunties, uncles, mentors, and neighbors. In business, older individuals can be the most loyal customers with big buying power. Communication needs to take into account specific needs and preferences for people of all ages, including seniors. Treat them with the utmost respect – Don’t underestimate seniors. They are truly wise beyond our years. They may not be familiar with the latest trends or electronics, but they have gone through the general life changes and experiences we all have in common. Treat them with the highest honor and respect. They truly can teach us so many things and enhance our lives immeasurably. Address them formally – When these folks were younger, society abided by a more stringent etiquette. Using sir, ma’am, Mr., Mrs., Dr. or any type of distinction was proper. Use these titles when addressing them unless they ask otherwise. Addressing them in this manner, starts any interaction with them on a positive, welcoming foot. Put it in writing – We’ve found that older individuals read mail, email, and articles more thoroughly than their younger counterparts, who often prefer to skim. A great way to connect with them is with the written word. As I mentioned above, communicating with my grandfather by text and email works so much better than via phone. Use large, bold font – Many of us have experienced our eyesight declining with age. A good rule of thumb when communicating with seniors in written communication is to use large, bold font or handwriting. With font, refrain from anything with curly or other embellishments. 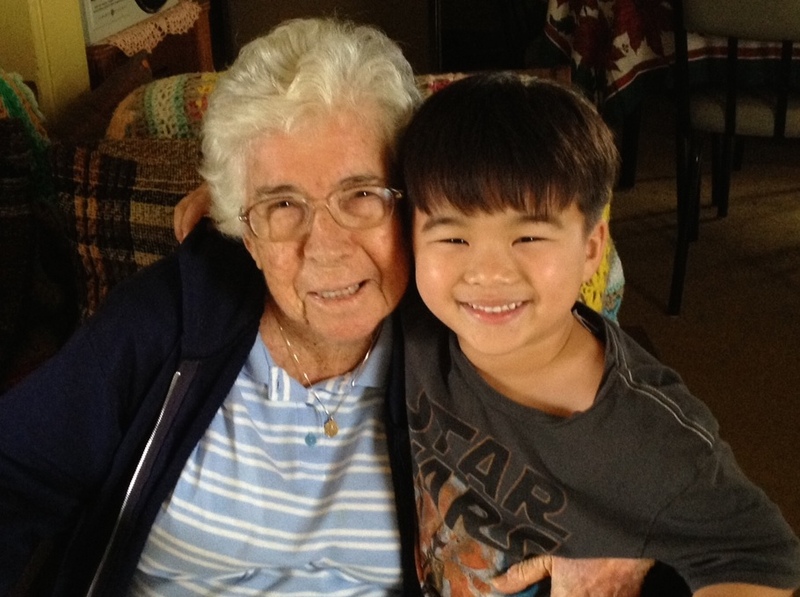 Speak clear and slower – When my son talks to my grandmother, his great-grandmother, she often looks at me and says, “I have no idea what he just said. He’s talking too fast.” Many of us think that we need to speak as loud as possible with seniors. While a moderate volume is important, slowing down the tempo of our normal conversational pace and speaking clearly are key. Take time to chat or visit – Because many senior citizens are retired and done raising their families, they have more leisure time and they don’t necessarily interact with as many people as they did when they were working or shuffling their children to football practice and piano lessons. They love to chat. Take the time to visit or contact an older loved one you haven’t seen for a while. Keeping in touch with them will brighten their day. Use explanation to break barriers – Unfortunately, the elderly are also often targeted in financial and other scams. I know many friends and relatives who have fallen victim to such schemes. That said, seniors are always on high alert and nervous when it comes to things they are not familiar with. This can manifest into them being grumpy or angry. Take the time to explain things that they might not quite understand. A gently friendly demeanor will allow them to drop their guard and keep calm once they know that your intentions are pure. Senior citizens, in your professional and personal lives, can be the best supporters, advocates, and friends. Their years of experience makes them wonderful confidants and advisors. Communicating effectively with this group is a little different that with your younger peers. Take the above tips into consideration when interacting with older individuals to build on the understanding and enjoyment of the relationship.